Medicare Part D drug insurance can be incredibly confusing. There is no particular plan out there that will best suit the needs of everyone and plans are constantly changing. That is why we have had extensive training in Medicare Part D, and we can help you navigate through this chaos at absolutely no charge. Not only can we help you find the best plan for your needs but we can also help you sign up right here in the pharmacy. Open enrollment is between October 15th and December 6th. Remember even if you are happy with your current plan those plans change every year and may not be the best plan for you this year. I'm newly eligible for Medicare. How do I sign up for a plan and when? The enrollment period for newly eligible patients begins 60 days before your effective Medicare date and ends 60 days after. If you would like assistance in signing up for a plan, let us know. We would be more than happy to assist you with this. 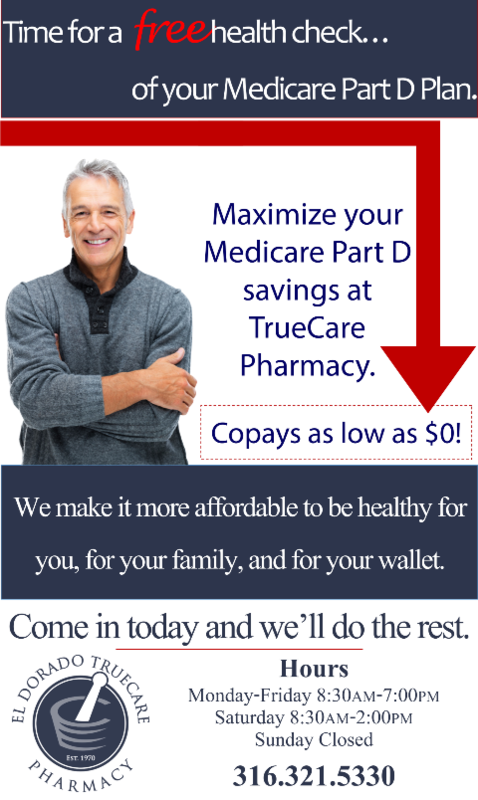 I'm on a Medicare Part D plan but am interested in switching plans. When can I do this? If you are already on Medicare, you can elect to change plans one time each year between October 15th through December 6th for the upcoming year. I already have prescription drug coverage. Do I need to sign up for Medicare Part D? If your prescription drug coverage has been deemed to be as good as or better than Medicare Part D, you can elect not to sign up. In the future, if you decide to sign up you will not be penalized. If you have no prescription coverage or your current coverage is not as good as Medicare Part D, you may be penalized 1% per month for every month that you haven't signed up. For example, a person who initially chooses not to enroll in a Medicare drug plan for the first year of eligibility will have monthly premiums that are 12% higher than normal. A person who waits five years to sign up for Medicare Part D will pay monthly premiums that are 60% higher.